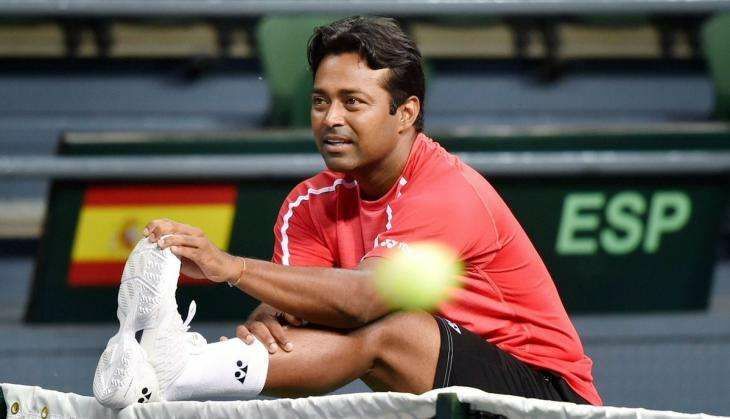 Leander Paes, the marathon man of Indian tennis, on 19 September, said that controversies and criticisms surrounding him are nothing more than false propaganda initiated by a few of his "highly jealous" competitors. Paes did not take any names but said the negativity that is being built around his name in recent times, is a result of a few underachievers' sinister design. Whenever it comes to playing for the nation in the Indian team at the big stage, be it Olympics, Asian Games or in Davis Cup, tennis has found itself mired in controversies. He said he does not care what people say or think about him since he's busy writing his name in the history books, that no one can change. "In this part of my career, most of my competitors are highly jealous. They might not understand what it takes to win 18 Grand Slams and play seven Olympics. Some competitors, you give them 10 lifetimes, they will still not be able to achieve that. Instead of working hard, they want to knock me down," Paes told PTI in an interview during the just-concluded Davis Cup tie against Spain. "They want to ruin my reputation by doing ulterior things, so that the perception of the public is that Leander is a bad man. It takes a whole lifetime to build a reputation and it takes one second to ruin it," he said. Is he tired of this negativity? Does he get frustrated? "I am a human being. But I don't deal with it now," he said in a nonchalant way. "In this modern age of social media, I understand there will be some negativity. The people who are true and honest, whether they are good with me or not, I respect them. "Few people are always trying to tarnish my reputation. There are some competitors out there, who are highly jealous of what I have achieved. Instead of working hard, to achieve it themselves, they realise, they can't to that quantum, so hence, let's ruin his reputation. One person will put one story here, one there and build perception," he said with disgust. Paes said he does not care about these people, who "bark" about him, and will continue to do what he does best -- excel on tennis courts. "Not to worry about haters. You play your game, you run in your lane, don't enter into others' lane. I will write my name in the history books. That is fruit of your hard work. "People believe it or not, media write or not, but the intelligent people, the knowledgeable people will see history books and I have written my name there many times and will write many more times. That can't change, you can't forge a history book and you can't change history books." "In this modern age of living in limelight, everybody wants to be a hero. People will bark, let them bark, they will look bad themselves. I will run my race. Till a junior comes and says 'Lee I am beating you all the time', till I am winning Grand Slams, I will continue to play. I had to earn it and others will also have to earn it."